M48 OPS Double Sided Rifle Bag | BUDK.com - Knives & Swords At The Lowest Prices! 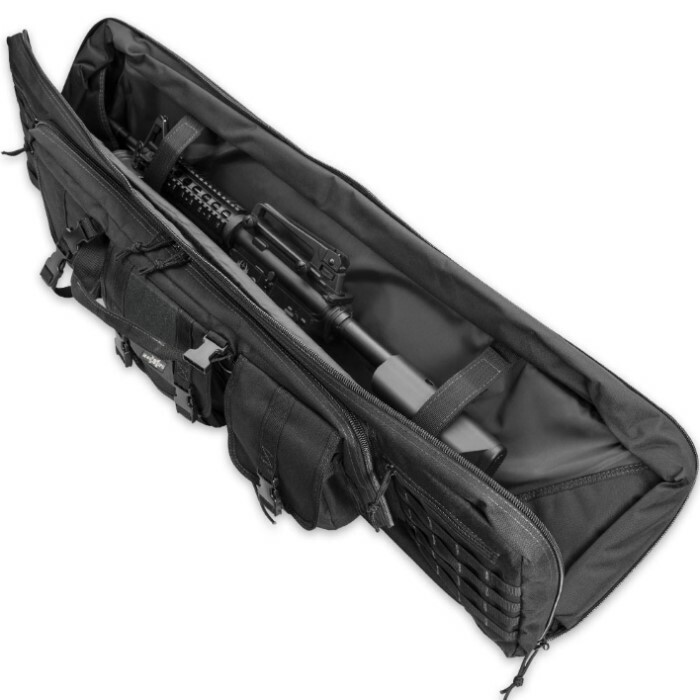 The M48 OPS Double Gun Case is designed to optimally secure and protect long guns and comes equipped with multiple storage areas to efficiently organize ammunition and accessories. At 42" long x 14" high it provides protection for two rifles during travel and storage and features two padded pistol pouches, as well. 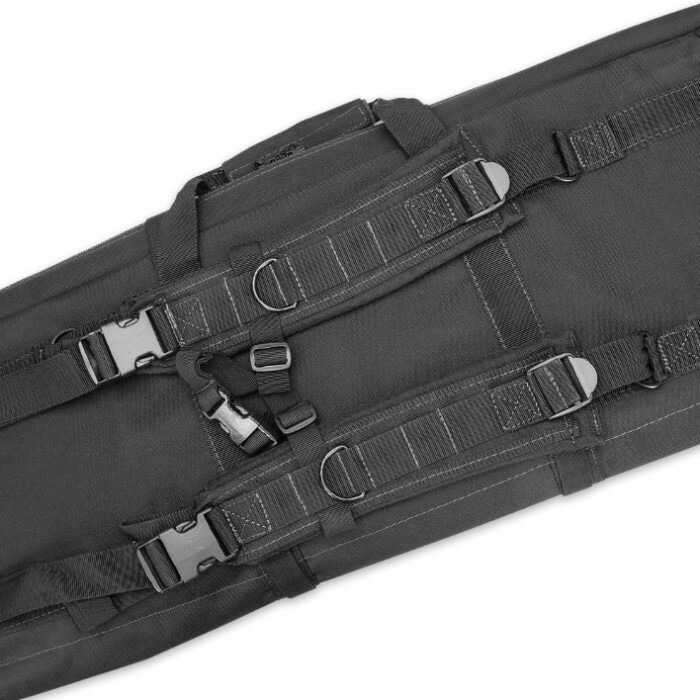 The thick, padded divider helps protect gun optics and padded backpack straps give you hands-free transport. 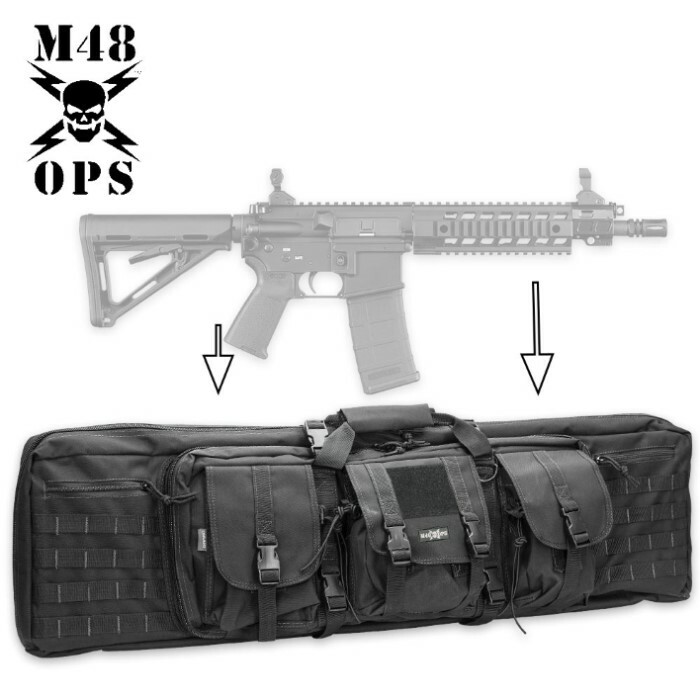 There are four zippered storage areas and three large pouches for ammunition and accessories. The case also features MOLLE front panels to allow attachment of load-bearing equipment. Available in tan and black, we've got the bag just for you at a quality and price that just can't be beat!